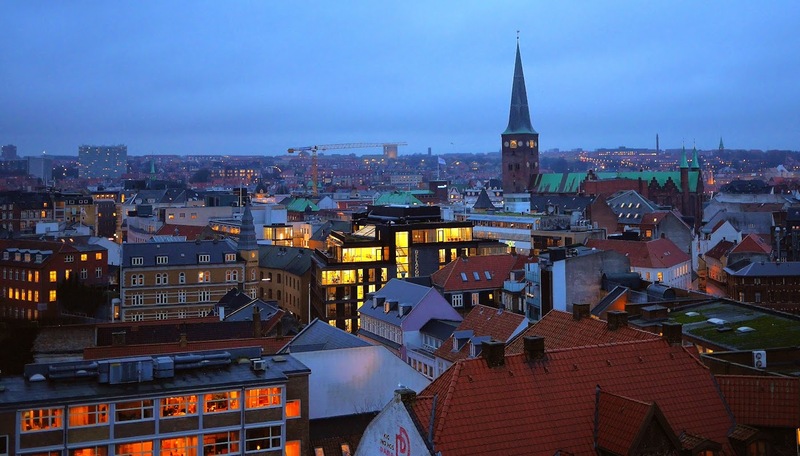 Aarhus, an interesting town to visit with lots of well conserved old buildings etc. in the core of the city. 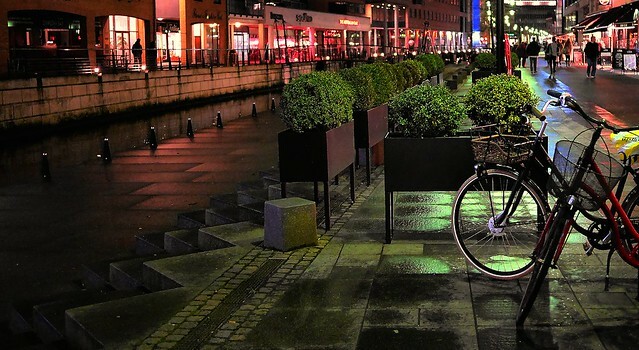 Here we are taking an evening walk in the popular Åboulevard - a pedestrian street along the river/canal.